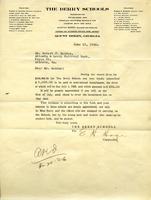 Hoge reminds Whitner & Co. of their $100 installment payment due on July 1 for their pledge of $400 in Berry's drive to raise $100,000. 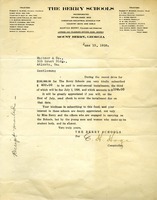 W. J. Nunnally sends $25 to the Berry Schools towards the $100,000 drive. 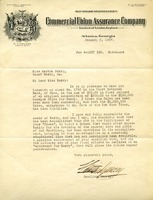 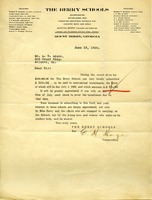 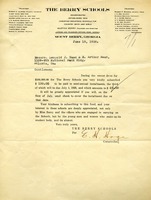 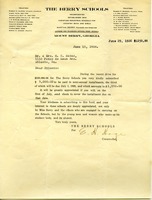 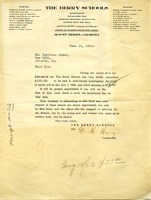 Letter to Mr. A.S. Adams from E. H. Hoge, comptroller of The Berry Schools, informing Mr. Adams that at the recent drive to raise $100,000 he pledged to give $100 in semi-annual installments. 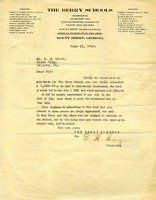 Mr. Hoge writes to him informing him that the third installment is due. 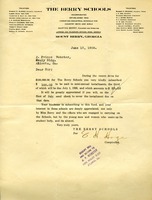 Mr. Hoge also informs him that his donation is appreciated not only by Miss Berry but also by others engaged in the work of the schools. 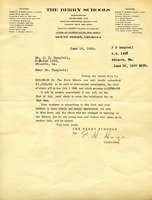 Mr. Hoge sends a letter to remind the Heinz family that they pledged $5,000 in the drive for $100,000. 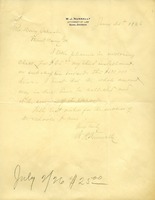 The typewritten note at the top is a receipt for the $1,250 the family owed.